Psychotherapy and Cognitive Behavioural Therapy, Cognitive hypnotherapist and NLP practitioner (coaching). 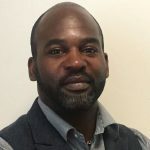 Ricky is an experienced Psychotherapist and Cognitive Behavioural Therapist who delivers one-to-one therapy, group psychotherapy and experiential workshops and lectures here at Kingston natural health centre. He has supported clients with addictions, depression, anxiety and trauma issues both in residential and non-residential settings for many years. Organisations he has worked with include Gladstones drug, alcohol and addiction rehab clinics and the Priory Roehampton. Ricky’s contribution to Kingston natural health is extensive and includes not only CBT and long-term psychodynamic work, but also a more holistic approach, facilitating drama therapy, movement therapy, and kundalini meditation workshops. I am a qualified psychotherapist offering In-Person therapy based around the Surrey area in which I also offer online therapy. I trained as a therapist after a previous experienced career working with vulnerable young adolescents and adults of all ages. I hope that this, coupled with my further training and therapeutic experience I can offer something useful to you regarding your current situations. What I offer is to facilitate the space for you to explore what is concerning you no matter what the situation you find yourself in. My key strengths are being non-judgmental, thinking out of the box and building confidence in my clients. I work with a wide range of issues and the most important part of this is to work in an alliance of the needs of yourself. I have 17 years experience in supporting people through difficulties in their life and I feel it is a great privilege to be in this position. Being a psychotherapist means I am able to offer a range of therapeutic techniques and psychological theories as appropriate to the therapy. I have learned that every person’s experience is unique so for this reason, I work by listening to your needs and offering a form of therapy that will suit you. I usually prefer for a client to take time to figure out if I will be the right person to help you through the issues you have been struggling with. I would suggest that you the client should have a certain amount of sessions in which I feel you would need ( normally between 6 and 12) but I would discuss that with you either by email or on our first session. Please call 0208 549 8000 to make an appointment with Ricky.